(English) TOMI Rio Aug 2018 Report: TOMI knows and people know! TOMI knows and people know! The Search module was very popular this month. 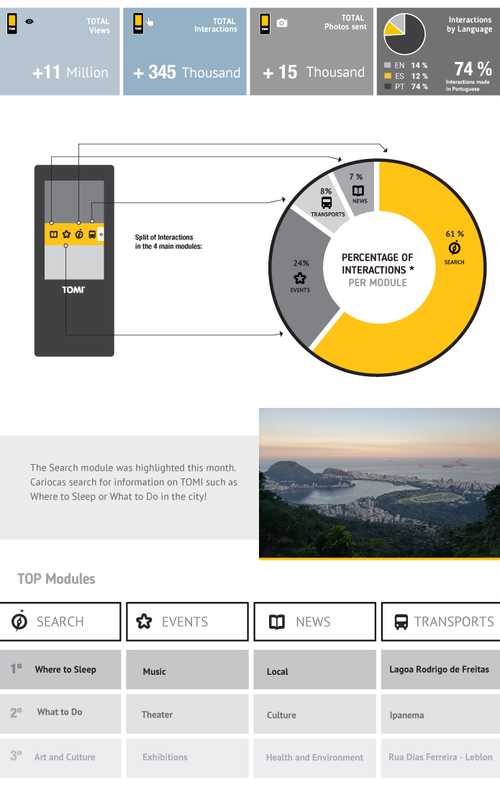 Cariocas searched on TOMI information on Where to Sleep and What to Do in the city!